Lazies, Interfacing has been a bad bedtime story for too long. Bad product names, mystery properties, generic instructions – ack! Sew Lazy interfacing turns that bad bedtime story into a fairy tale come true. It’s Sew Lazy and the 7 Dwarfs! 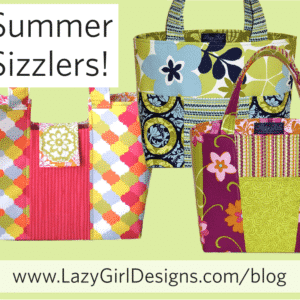 Sew Lazy is seven of my favorite products for bag making, small crafts, table runners, apparel and more. Good names, instructions, project icons, color coding, etc, etc. Finally, we can make sense of these confusing products and know exactly what to buy, how to use it and what it will do for our projects. Grab a cuppa cuppa, I got a lot to tell you! While Snow White had Grumpy, Dopey and Sleepy, I’ve got: Stiff Stuff, Slicker, Dreamy (2: sew-in and fusible), Face-It (2: soft and firm), and Fusi-Bond. Products that work. Names that make sense. Get to know these names, we’ll be seeing a lot more of them. I’ve spent so much time with these little bolts, I’ve come to think of them as my 7 Dwarfs. – Products selected, tested and approved by me, so you know they’re good and will work for you. – Names that make sense and are relatable. Stiff Stuff to make your bag stand up – perfect! – Bolt end labels clearly marked with all the info you need to make sure you’re buying the right thing. – Instructions and descriptions wound with each product. It’s like I’m right there talking to you! – These are the basic items plus a thing or two that might be new to you. – Only available at your local quilt shop or their online shop. and Face-It Firm to interface the lining. An adhesive web perfect for applique and bonding layers of fabric together. 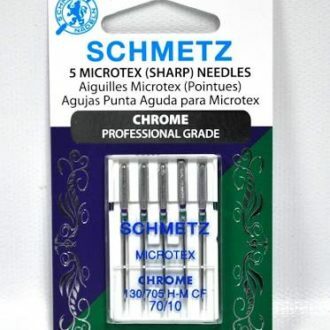 It won’t gum up your sewing machine needle, offers an even and consistent bond and won’t add weight or stiffness to your project. Fusi-Bond = fusible bond. Iron-on glossy vinyl. Hey, we can laminate our own fabric! Fabric stays soft and is easy to work with. 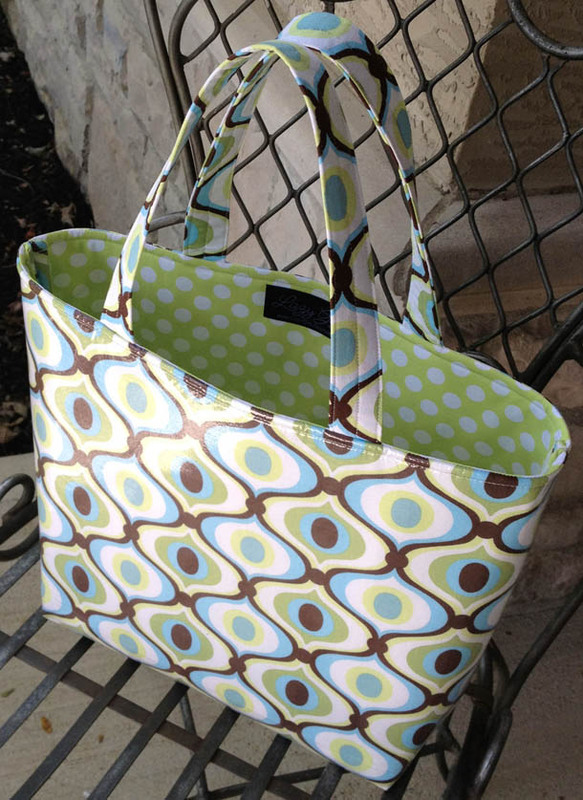 You’ll meet the Slicker Tote (below) in an upcoming blog post. Slicker = it makes fabric slicker. NOTE: Do not microwave or use in oven. 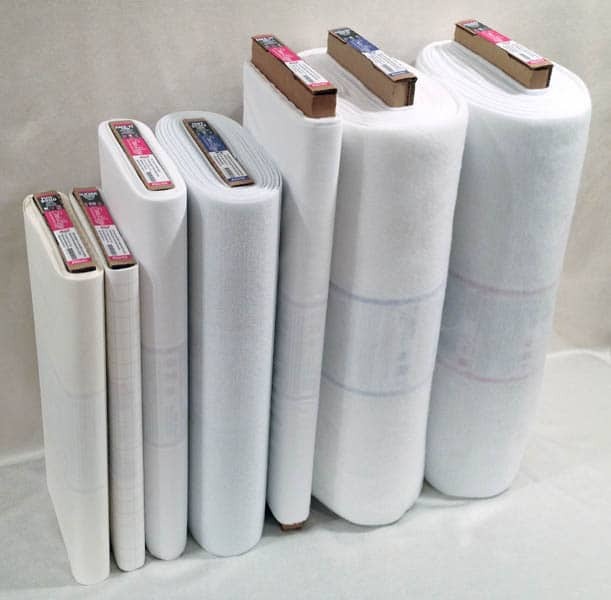 Lightweight woven 100% cotton fusible interfacing. Face-It = interface it. There is no nickname for interfacing, so let’s just ‘Face-It’. Medium/heavy weight non-woven fusible interfacing. Face-It = interface it, same category as above, just a different weight. 100% polyester high loft sew-in fleece. 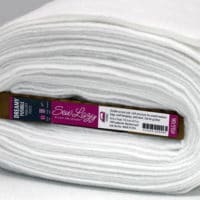 Use in place of batting for small projects or in soft-sided crafts when you want more drape or softness than fusible fleece. Dreamy = creamy/dreamy consistency. 100% polyester high loft fusible fleece. 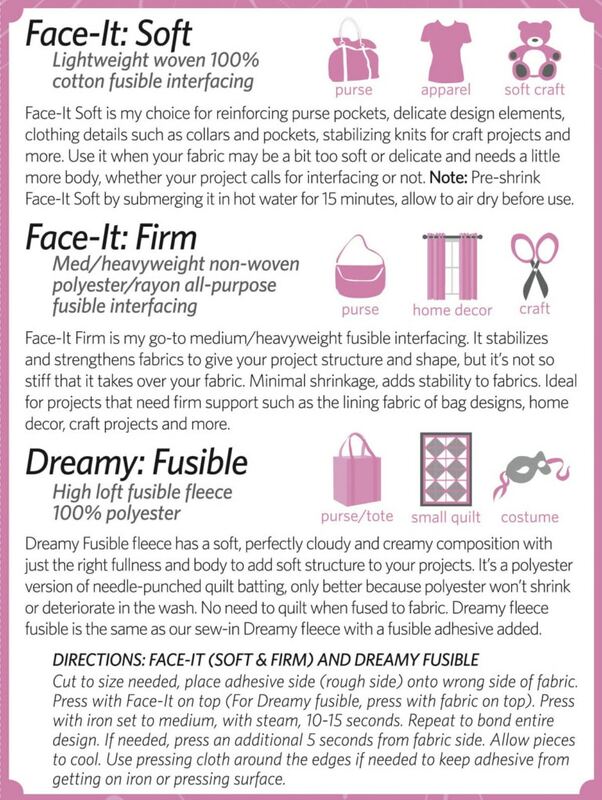 If you like Pellon fusible fleece, you are going to love this. Great consistency and no dimpling from over-fusing. Dreamy = creamy/dreamy consistency. It’s as if fresh cream were whipped into a fleece, perfectly yummy with no calories and just the right loft. The new love of my bag-making life. Firm, yet flexible sew-in dense interfacing. It’s forgiving and doesn’t hold the fold like those other guys. You can crumple a bag into a ball and it will bounce right back and stand up straight. Use it in place of fleece or batting in a structured bag. Great for table runners and placemats, too. More on this later…a lot more! Stiff Stuff = I need some of that stiff stuff to make my bag stand up. NOTE: All intrefacing is available in packaged project-sized cuts, too. Stiff Stuff used in place of fleece or batting for great stand-up-i-tude, dude! I am so tired of those confusing and non-sensical labels on the bolt ends. You know the ones. They say something like this: 100% polyester, all-purpose, non-woven, medium weight, fusible, I-stopped-listening-five-minutes-ago… Goodness! Just tell me what I need to know. Name, properties, what it will do for my project and how to care for it. Yes, those instruction thingies that come wrapped in the bolt have a name – interleaf. 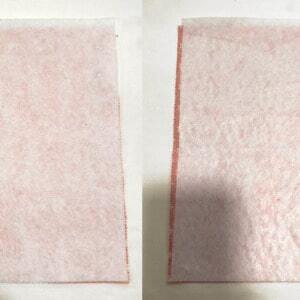 All five fusible products come wrapped with the pink interleaf. Hot pink = hot iron, therefore it’s fusible. Easy peasy. Both sew-in products are wrapped with the blue linterleaf. Here’s a snippet of the fusible interleaf, showing the clear labeling, project icons such as soft purse or apparel, product descriptions and instructions for use. Click to enlarge image. Sew Lazy is available through Checker, United Notions, Brewer, EE Schenck, Petersen-Arne, and Quilt Source. Lazy Girl is not stocking or shipping Sew Lazy. Skinny bolts – put-ups of 10-20 yards instead of 15-35 for other name brand comparables. All intrefacing is available in packaged project-sized cuts, too. Ask your shop owner if they are/will be stocking it. At last! Something easy to use. Hope these are available online (if not the UK) I have bought so many kinds of interfacing online some good some not so good as everyone’s idea of ‘firm’ or ‘heavy’ is different. Hope to be able to purchase some soon! 🙂 Thanks! Yay – I want them all. I like the sound of all of them, much easier to know what you need. 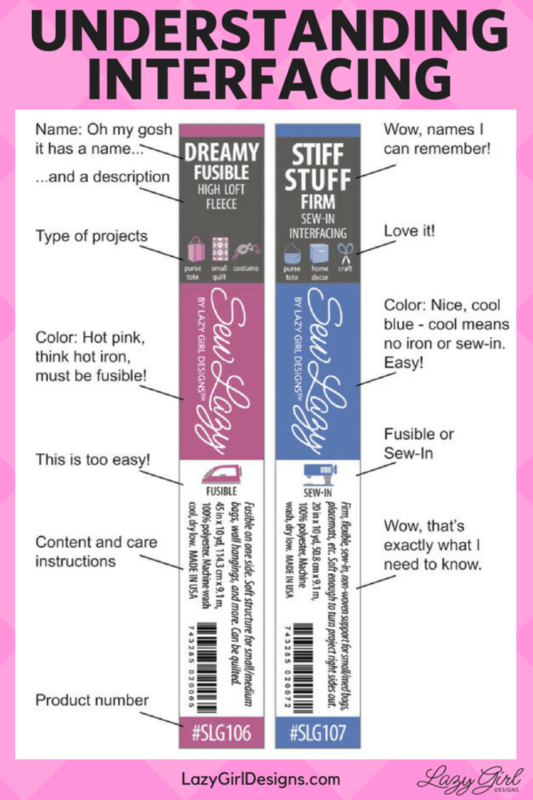 I want to try the stiff stuff as I make bags for myself, sometimes the peltex/timtex is way to stiff and does wrinkle. Whoa!!! Sounds / looks like you’ve been NOT lazy in coming up with this exciting line! I’m a little over-stocked on the “other stuff” right now but, will def order in the near future. Meanwhile, do/will you have swatch cards to send out for retailers? Music to my ears!!! Fabulous idea!!! I have a box of unknown stuff that I can just throw away!!! Thank you Joan for coming out with this awesome product!! Can’t wait to try! You are an inspiration, Joan. Love every detail, including the Lazy labeling. I never could understand what to use where. This sounds great. Can’t wait to try some. Finally someone who uses it gets to design it. Blessings, cannot wait to stock up on every piece. I love it!!! At last we have moved beyond guessing which garment sewing interfacing will work to KNOWING there is a bag product for bags. Genius on your part Joan. Finally! 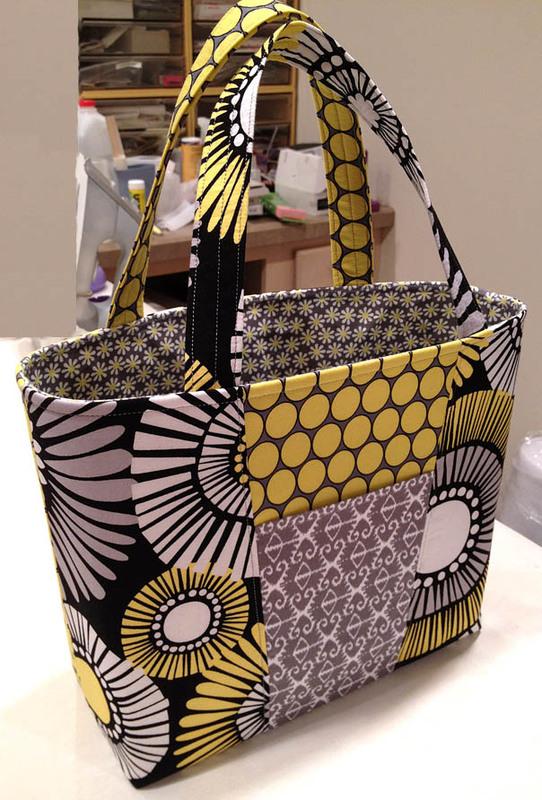 Deciding what interfacing to use has always been a major stumbling block for me in making bags. Sometimes I thought I was getting one that met the recommendations and it didn’t work like I expected. Sometimes I hit it right but it was always a big uncertainty. This will make the selection process much easier. And, the names make sense and are easy to remember. I love you for simplifying the world of interfacing. No more trying to figure out if this bolt will work with the fabric I picked up. Wow! Love the labels, the goods and the prices. Thanks again for coming up with a “new wonderful” ! Joan – This is great news! Interfacing for bags and accessories needing stiffness and body have been so confusing. 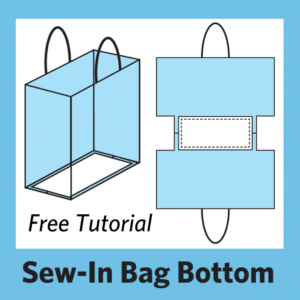 I love all this information and it would be great if you could come up with a downloadable easy-to-print chart with all the information on one page that we could print and hang on the wall of our sewing room, or download to our smartphones for shopping purposes! Joan, You never cease to amaze me! You see a need and you work to develop what we need to make the best and easy products. Are these in stores yet?! These look great, especially with all the info on the end of bolt label. Where are these products made? Nikki, Sew Lazy just started shipping to stores last week. Ask your local store about it. Charlie, Sew Lazy is made in the USA. a grand slam with these. I can’t wait to find out which ones to use in your patterns. Brilliant! You just solved several huge problems for me – thank you Joan! Yay! I look forward to learning more and the “types of projects” feature. I use interfacing for all kinds of crafty things in addition to Lazy Girl bags. I’ve had more than one disappointing interfacing experience. It’s great to be lazy and let you do the research, testing, and instruction-writing! Your labels are Fantabulous! Easy and understandable! Thank you for coming up with such a wonderful product and packaging! I love your designs and I’m sure I’ll love these products too! 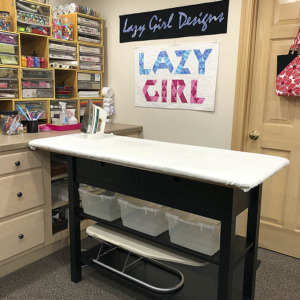 Congratulations on your new Sew Lazy line!!! Yay Joan! 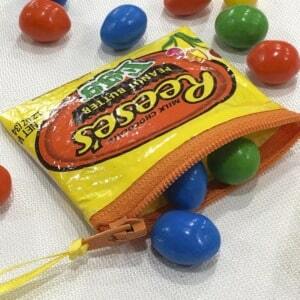 Way to make our bag making even easier and “lazier”!! Can’t wait to try them all out. BTW are any of our regular Lazy Girl suppliers going to stock your stuff? It’s hard for me to get out to a quilt shop and I do most of my shopping online now a days. Congrats on your new line of lazy products! I hope someone in Australia is going to import it, otherwise I will be looking for an online store to buy some, particularly stiff stuff as I am sick of limp bags. I love the bolt ends it makes choosing which which one you need so much easier. Are the products in Aussie yet, & which distributors have them? Have always loved your products, now I want to run down the street screaming about how much I LOVE your interfacings!!! Great job as always, I’ll be looking for these pretties in my quilt store! A little birdie told me about your new treasures. I can’t wait to give them a try….and I absolutely know for sure the directions are clear and understandable. I love these! Finally something I can understand and know how and where to use it. Thank you, thank you!!! These might make a bag sewer out of me yet! It’s always been the confusion of twhat to use when that really got in my way! Thanks! Brilliant!!! Hope these make their way to the UK. Would be nice to have products with such clear labelling. Over here (UK) it’s pure guesswork! Thank you! Thank you! Thank you! As others have said, it takes someone who knows what the problems are to follow through and come up with the products we need! Can’t wait until these become available. I have a Claire cut out (OK, I also have yet another Miranda cut out!) and waiting to be made. I think I’ll look for the Sew Lazy Interfacing before I go any further. These interfacings look fab. Do you have any plans to ship them to the UK? Fabulous dear sewing friend !!!! No wonder we haven’t heard from you in several months. You make our lives so much easier !!! Thank you !!! Joan, You are a genius!! Now we know what you have been up to and I can not wait to throw out all those confusing interfacings and get yours!! THANK YOU !! This is wonderful. We got preliminary info from our local quilt shop on Wednesday when she did her annual school house to introduce new products. She only has a few of the bolts but they seemed to be selling like crazy. I can’t wait to try them, and the info above in an article for me to retain on my computer will certainly help when I need to sort out that info. Thanks again for developing a really great product. 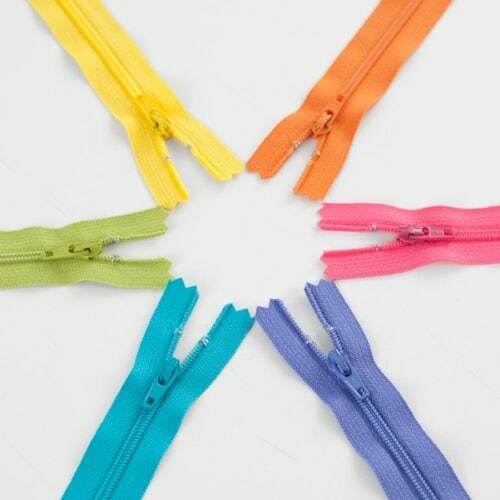 You’re right–the world of interfacing had gotten confusing and it’s hard to judge the merits of what’s on the bolt. The stiff-stuff instead of fleece really appeals to me. I want to make a bag asap with it. Cannot wait to hear about the product substitutions. I love your patterns and these products make it look like they will be even better. 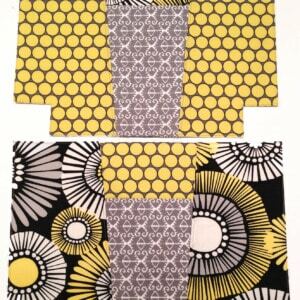 I have been looking for interfacing that works & doesn’t just give way with a little use. I hope this is it. Thanks for the info. I’m very intrigued and interested in all of these. 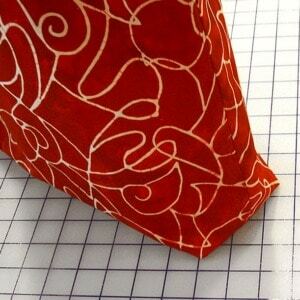 I’ve been using Steam A Seam Lite 2 for most of my projects, but also need the stiffer interfacing for bags as well as some art quilt projects (postcards, etc). I would love to try your products and see how they work for me. Thank you for all the thought you put into them, each step of the way. Wow, thanks for making it easier to figure them all out. I’ll be talking to checker to getthem in our shop. 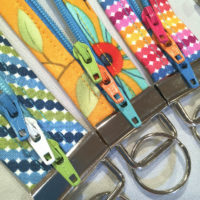 Well, here we go again with another “new and improved” sewing and crafting product! Guess what, Lazies! This interfacing is FABULOUS! Thought I’d give it a try and ordered Face-It Firm and Stiff Stuff Firm online from through SEW THANKFUL. When it was delivered, my first impression was that it didn’t look any different from that “other” brand that I pick up at my local big box fabric store. I just steamed on my first piece of Face-It Firm. 10-15 seconds with a steam iron and every square inch was fused properly. NO visible shrinking. NO puckering of my fabric. NO frustration. Beautiful results! 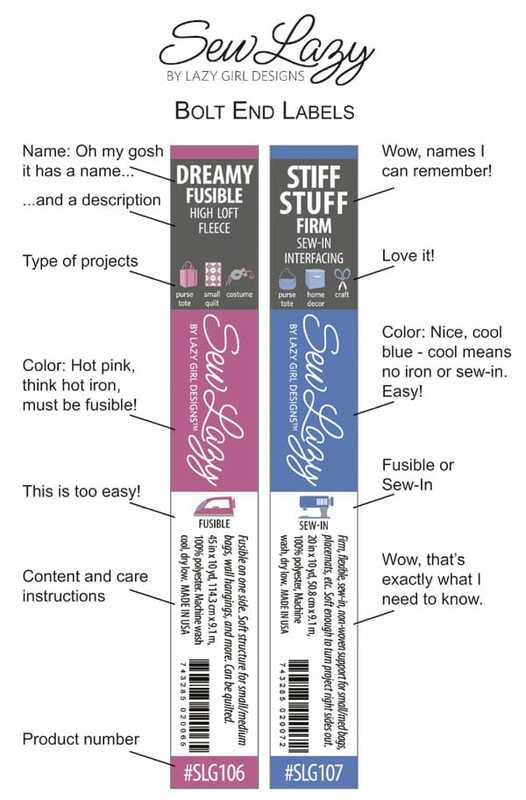 Now I can’t wait to try the Stiff Stuff Firm! So if you are hesitating giving this product a try — hesitate no longer! You will LOVE it!! I have a purse pattern that calls for Bosal 336 aka Craf-Tex Lite and Fleece/Batting. Which Sew Lazy products should I use? Joan, I would like to know if you have a problem with me linking this post in a newsletter to my readers? And on my blog on my website? Can’t wait to get my hands on the Super Stiff – got a perfect project in mind. Great job on the labeling. Is this where I sign up for your giveaway for the interfacing package? This tote looks like a really useful bag. Plus, It is a great way to showcase my large prints (with lots of surface embellishment) without having to cut them up. Thanks! I also look forward to giving the new interfacings a try. Thanks again! This product does not seem to be available any more. I have some pretty scrap material and my husband would like me to make him some ties to wear. Which of these interfacings would I use for that? I wish they had them in my fabric stores that I shop. I’m Claudio and write from Italy. If I need buy you stiff stuff where I found? Please give me all information about MOQ and prices. Is it possible to get a sample pack of your fleeces and interfacing. It would be very helpful in knowing what to order for specific projects. Willing to pay for it. Can the Stiff Stuff be used in place of “hair canvas” for a dog travel bag? I have a very old Vogue pattern that calls for hair canvas, but I am intrigued by the Stiff Stuff and would like to try it. Thank you! Why can’t I find the instructions for how to use slicker on your website.? I bought some and the instructions are not long enough to show instructions for slicker! I have instructions for products that I did not buy!!! Where are slicker instructions!!! Can I purchase interfacing from you?? I make bags as gifts and for myself. Thanks again. it along with Dreamy Fleece (2 yrds).